Hey guys! I have a quick question- Does anyone know if the R&C movie blu ray will be available in the UK? Because on Amazon, only the DVD is available to preorder on the UK store, but the page may not have been updated yet. Also does anyone know if it's possible to import the Song of the Deep collectors' edition from the US Gamestop store? Because Insomniac announced that there would be an international CE, but it was never even revealed and isn't available on Gamestop UK. Ever since, there hasn't been any new info from Gamestop or Insomniac, and the Song of the Deep official twitter page said that they aren't sure why it wasn't released, and that it's out of their control. Why does the UK always get the wrong end of the stick when it comes to game releases? Is it because Brexodus? I live in the UK too. So I don't know. BLARGH!!! 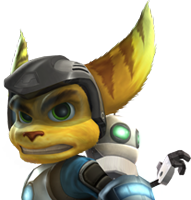 Ratchet vomited and puked all over the ship alongside Captain Qwark with Clank looking worried. What a real shame. I thought they could've used the DVD and Blu-Ray release as their last resort to get profit. Maybe it's not up to them. What really doesn't make any sense though, is that the Ratchet and Clank Ps4 game got #1 on UK charts for 3 WEEKS, and they won't even let this movie be blu-ray for them! Australia isn't even getting the movie! Sheesh, the movie had the potential, but bad marketing ruined it. > WHY LIONSGATE?!?! I wanted that film on Blu-ray but NO!!!! They had to skip it because of NEGATIVE REVIEWS!!!!!!!!! GRRRRRAAAAAAAHHHHHHHHH!!!!!!!!!!!!!!! I am really upset by this. 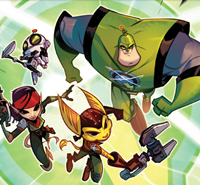 *bangs table loudly* LIONSGATE HOW DARE YOU SKIP BLU-RAY RELEASE FOR RATCHET AND CLANK!!!!!!!! Hey, chill. I live in Indonesia, and I'm not entirely sure if they would also release the Blu-Ray version here. Just hope the DVD version would be good. I could understand the feeling of being annoyed by that, but just calm down. Chances are it's one of those people from tumblr…you get used to it.